James Smithson, “James Smithson,” Histories of the National Mall, accessed April 23, 2019, http://mallhistory.org/items/show/68. 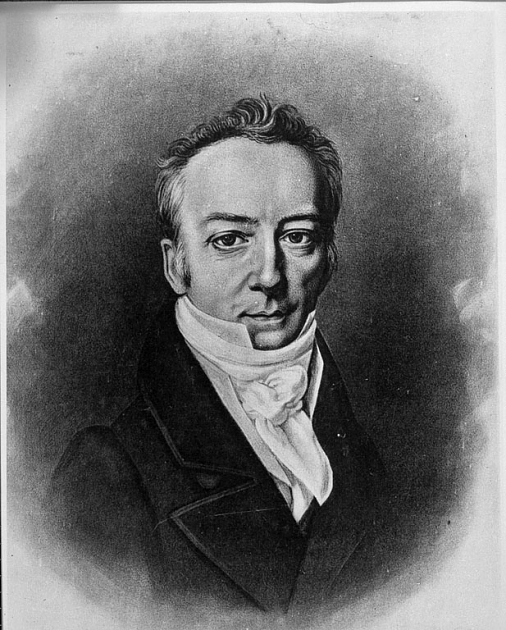 British scientist James Smithson provided the funding necessary to create the Smithsonian Institution. Born in France and educated at Oxford University in England, Smithson was a wealthy chemist and mineralogist. He never married or had any children. In his will, he wrote that if his nephew, who was his only heir, died without heirs, then his entire estate should go to the United States to develop in Washington "under the name of the Smithsonian Institution, an establishment for the increase and diffusion of knowledge." Smithson's nephew died in 1835, and the Smithsonian Institution was founded in 1846. Smithsonian Institution Archives. View original image. James Smithson was born James Lewis Macie in Paris around 1765, the illegitimate son of an English peer and Elizabeth Hungerford Keate Macie, a wealthy English widow. By the mid 1770s, he had become a naturalized British citizen. In 1782, still using the name Macie, he enrolled at Pembroke College at the University of Oxford, from which he earned an MA in 1786; his studies largely focused on the sciences, in particular chemistry and geology. Only a year after completing his studies, he was elected a Fellow of the Royal Society in London. He spent most of his adult life traveling in Europe conducting scientific research. In 1800, his mother died; her estate was divided equally between James and his half-brother Henry Dickinson. A year later, James changed his last name to Smithson, which had been his father’s name. Smithson died in 1829 in Italy. Unmarried and without heirs, Smithson left his money to a nephew with the requirement that if the nephew died without heirs, the money would go to the United States to establish a center of learning "for the increase and diffusion of knowledge among men" that would eventually become the Smithsonian Institution. Smithson's fortune of $500,000, together with his papers, became the basis of the Smithsonian Institution. In 1904, Smithson's remains were moved to Washington D.C, where they were placed in a crypt inside the Smithsonian Castle.